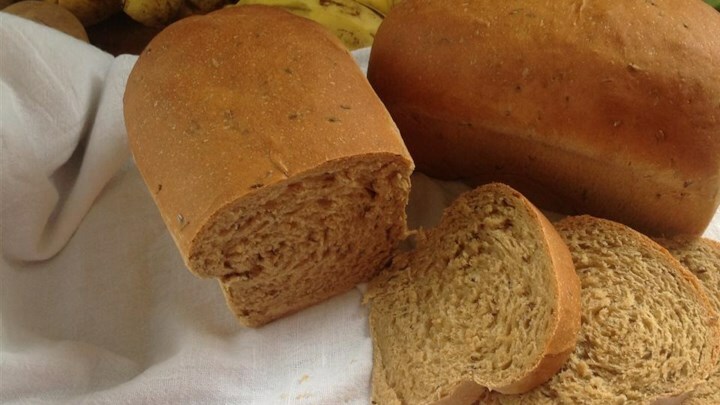 Step 1 Put lukewarm water, milk powder, salt, brown sugar, molasses, butter, whole wheat flour, bread flour, rye flour, caraway seeds, and yeast into the pan of a bread machine in the order suggested by the manufacturer. Select the Grain setting and 2-pound loaf size. Cook time and serving size is dependent on the bread machine used.